How Much Does A Truck Bedliner Cost? Want to compare truck bedliner prices? Want to really know how much does a truck bedliner cost? This can be a difficult because bedliner prices can be all over the map. From as little as $100 for a DIY roll on job, up to around $800 for a good spray-on. So how much does a truck bedliner cost, really? What is a reasonable price you should be willing to pay? I suppose that all depends on the budget that you are working with and the type of truck bed protection you are looking for. But first, there are some common questions you should ask before getting started: How much am I willing to spend? Is this a permanent truck bed protection solution? Will there be truck bedliner upkeep costs down the road? Roll-on bed liners seem to be the most inexpensive truck bed protection on the market. Herculiner is a vary popular brand and retails from $79 to $99 for a one-time DIY application kit. The kit comes with a gallon of the paint material and all that you will need to apply the product. But customer testimonials lead me to believe that with a longer truck bed, you may need more than one gallon, so there is another $50. You will also need some cleaning supplies for the bed surface and some gloves which will cost you about $30. So the overall cost appears to be anywhere from $120 to $170. Keep in mind that you likely will also spend more than a whole Saturday doing a project like this. So if you believe time is money, then the cost just shot up even higher! One piece drop-in bedliners such as those made by Duraliner cost right around $200. You will need to search their website to find a local dealer as these are much too big to be shipped to your door, but in most cases you can find one nearby who will also install it for you. There’s no real time commitment on your part, so that’s good. The real cost here is from the damage your truck’s bed will inevitably receive from the shifting of these poorly fitting bedliners over time. Once the damage starts, your cheapest solution is to apply a roll-on liner beneath it and you just read about how much that costs! Spray-in bedliners are the most expensive form of truck bed protection, anywhere from $500 to $1000 depending on the brand and type of finish the customer wants. There is no time lost here as the best option is to have these professionally installed and can be done in one day. The real problem with a spray-in liner is the maintenance. Once you install a permanent spray-in bedliner, there is no turning back. At least, not without some seriously expensive and time consuming work! And if you want to keep your spray-in liner looking good, you will need to have touch up sprays every year or two to fight the sun fade and the gouging that happens when cargo shifts in the bed. Add on a couple three sprays over lets say 10 years and the cost really sky rockets. You’d be amazed at how much this type of truck bedliner really costs! DualLiner is different and is simply the most cost effective bed liner on the market today. The DualLiner can be shipped to your door for the low price of $399 and comes with an unbeatable lifetime warranty. It is the only bedliner on the market that also protects the finish of your truck while reducing the risk of scratches and major dents. And the best part is that it’s removable. DualLiner can be taken in and out at any time to keep your trucks bed looking just like new. I have had one in my truck for almost 5 years and it has never faded, and still looks great. So next time you find yourself asking “How much does a truck bedliner cost?” make sure you take into account the whole cost. 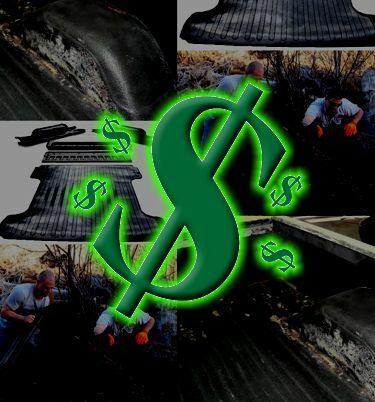 You simply can’t find a better bedliner for the price than DualLiner. Next story Can A Simple Truck Bed Mat Protect Your Truck?